Who Made The Not-Quite-Baseball-Hall-Of-Fame In 2013? So we know who made up the class of 2013 at the Baseball Hall of Fame: no one. Well, OK, the veterans committee voted in Hank O'Day, Col. Jacob Ruppert, and Deacon White. But they all died in the 1930s; we wouldn't expect much in the way of induction speeches. But the Baseball Reliquary's Shrine of the Eternals, the next best thing, did induct a handful of new members. 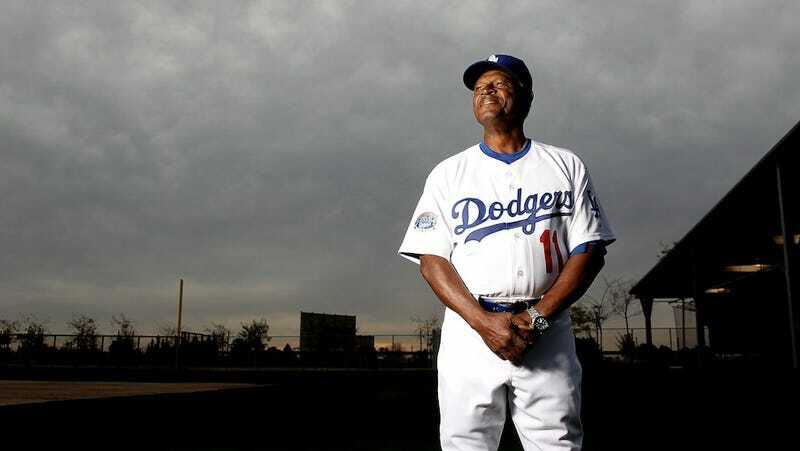 On this week's excerpt from Slate's Hang Up and Listen podcast, Stefan Fatsis runs down the incoming class (Manny Mota, a member, is pictured above) and its qualifications.